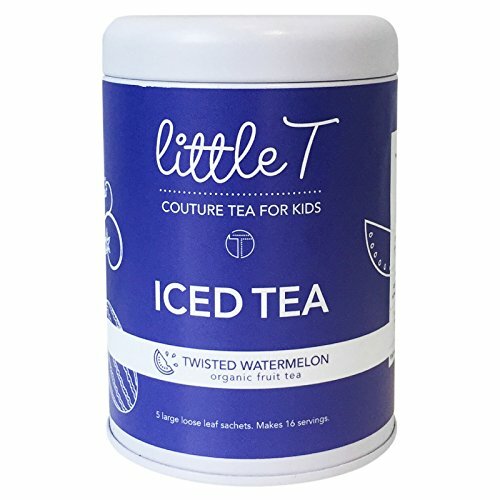 OUR SWEET, ALMOST-CANDY-LIKE TWISTED WATERMELON TEA FOR KIDS IS HERE! We let our creativity run wild and concocted this blend of fruits and herbs for a one-of-a-kind tea that looks like the purple night sky and tastes like watermelon. Don't get it twisted - this tea is naturally purple! Super unique and pretty awesome, right!? Our proprietary blend is sweet and juicy, and packed with plant-based antioxidants to help growing bodies stay healthy. Cheers to being one-of-a-kind, drinking the best purple watermelon tea you've ever tasted, and improving your health with every sip. SWEET LIKE CANDY: satisfy your children's sweet tooth without sugar! This one-of-a-kind tea tastes like juicy watermelon jolly rancher candy. Our proprietary blend of exotic fruits and herbs brews into a yummy, kid-friendly beverage that tastes like candy and looks like Kool-aid! TURNS PURPLE WITH WATER: Our proprietary tea blend brews up deep purple like the night sky when you add water! Featuring the exotic butterfly pea flower, this tea is fun for children to make with adults and watch as their water turns purple instantly before their eyes! CONVENIENT BIODEGRADABLE ICED TEA SACHETS: All the quality of loose leaf tea, with the convenience of an iced tea bag. Our premium tea sachets are made with biodegradable plant-based material that is gluten-free and good for you AND the planet. If you have any questions about this product by LITTLE T, contact us by completing and submitting the form below. If you are looking for a specif part number, please include it with your message.